[S192] Costello, Fiske and Rounds, Vital Records of Swansea, Massachusetts, to 1850, 24, Levy Preston/Abigall Brooks m.
[S1081] Alverdo Hayward Mason, ed., Swansea Records, 101-3, Levy Preston/Abigall Brooks m.
[S1455] Ann Kessler, citing Robert Peacock Brooks, "Henry Brooks and his Descendants." [S183] Craig Beeman, citing Virkus, Comp. Amer. Genealogy, 5:519. Signature from his will, 1715/16. Note the spelling of Broocks. Courtesy Beverly McNally. Rev. Timothy/3w Brooks Jr., 2nd so-named, born 9 Oct 1661 at Woburn, Massachusetts1,2, followed his father first to Swansea, Massachusetts4, where he married, 10 Nov 1685, Hannah/3 Bowen of Swansea, daughter of Obadiah/2 Bowen and Mary Clifton.5,6 They lived at Swansea for perhaps five years after marriage. About 1690 they followed Timothy's father to Salem County, West Jersey. According to Robert Peacock Brooks, they landed at the mouth of the Cohansey River, then Salem and today Cumberland County. Timothy became a lay preacher of considerable influence, as Robert Peacock Brooks wrote in 1927. Timothy Brooks (Junior) was much interested in the religious tenets of the Baptists and became a preacher with a considerable following. In 1687 a little band of Welsh Baptists left for Jersey, as has been said. Timothy Brooks's company kept a separate church society until 1710. During a part of this time this society — Seventh Day Baptist — worshipped in the homes of its members, as they had serious differences with the congregation of the First Day Baptists, which had organized as the Cohansey Baptist Church in 1690. This church was a little log church along the banks of the Cohansey Creek under the leadership of Rev. Thomas Killingsworth of Salem as their pastor. This church was used for about four years and was replaced by a small frame building at Sheppard's Mill. Due to the efforts of the Rev. Valentine Wrightman of Groton, Connecticut, Timothy Brooks, Jr., and two of his daughters, united with the Cohansey church and laid aside their differences (predestination, the singing of psalms, the laying on of hands and a few other minor details of doctrine). The Rev. Killingsworth having died in 1709, Timothy Brooks became the pastor of the Cohansey Baptist Church in the same year that he united with it, 1710. This congregation worshipped in the small frame church at Sheppard's Mills until 1741, when they built a new church near the old graveyard, which may still  be seen close to the Mills. 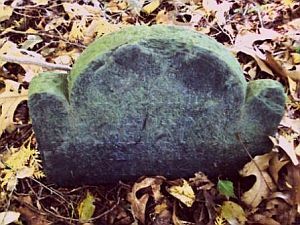 In this cemetery many of the first Baptists of South Jersey lie buried, and here also is the marked grave of the first white child born in Cohansey — Deborah Swinney. Unfortunately for the genealogist and historian, but few of the graves are marked and we are at a loss to trace many of these early families. In 1802 the church was removed to Roadstown, where it is still standing, although it has been remodeled. • Will of Rev. Timothy Brooks. • Inventory of Rev. Timothy Brooks. [S210] Edward P. Johnson, Woburn Records, 1:27, Timothy Brooks b. [S298] Cutter & Loring, Brooks Family of Woburn, 7, Timothy (3.10.ii.) Brooks. [S1650] Robert Peacock Brooks, "Henry Brooks," 46. [S192] Costello, Fiske and Rounds, Vital Records of Swansea, Massachusetts, to 1850, 25, Timothy Brookes Junier/Hanah Bowen m.
[S1081] Alverdo Hayward Mason, ed., Swansea Records, 125-7, Timothy Brookes Junier/Hanah Bowen m.
[S1650] Robert Peacock Brooks, "Henry Brooks," 43-44. [S1650] Robert Peacock Brooks, "Henry Brooks," 44–45. [S2342] NJ State Archives, v. 23, Calendar of Wills, 1670-1730, Salem Wills III:42, Ralfe Horsley. [S141] Black, "After 12 Generations," 19. [S1455] Ann Kessler, citing Morgan Edwards, History of New Jersey's Baptists, 1680-1890. [S132] Robert Peacock Brooks, Timothy Brooks, 13, Timothy (4.) Brooks, footnote. [S692] H.L. Peter Rounds, Abstracts of Bristol County, 3:95, Obadiah Bowen. [S216] Craig, NJ Colonial Documents, Calendar of Wills, 62, Timothy Broocks. [S2342] NJ State Archives, v. 23, Calendar of Wills, 1670-1730, Timothy Broocks. [S1650] Robert Peacock Brooks, "Henry Brooks," 45. [S2281] Thomas S. Griffiths, A History of Baptists in New Jersey, 518-524. [S1081] Mason, Swansea Records, 63-18, Timothy Brooks b. [S1081] Mason, Swansea Records, 60-28, Seth Brooks b. [S132] Robert Peacock Brooks, Timothy Brooks, 14, Timothy (5.) Brooks, Zermiah (iv.). [S132] Robert Peacock Brooks, Timothy Brooks, 14, Timothy (5.) Brooks, Hannah (vi.). [S132] Robert Peacock Brooks, Timothy Brooks, 13, Timothy (4.) Brooks. [S132] Robert Peacock Brooks, Timothy Brooks, 14, Timothy (5.) Brooks, Patience (v.). [S192] Costello, Fiske and Rounds, Vital Records of Swansea, Massachusetts, to 1850, 9, Josiah Brooks b. [S216] H. Stanley Craig, New Jersey Colonial Documents, Calendar of Wills, 62-63, Josiah Brooks. [S216] Craig, NJ Colonial Documents, Calendar of Wills, 62-63, John Brooks. [S2342] NJ State Archives, v. 23, Calendar of Wills, 1670-1730, Salem Wills, Josiah Brooks inventory. [S132] Robert Peacock Brooks, Timothy Brooks, 14-15, Josiah (7.) Brooks. [S1455] Ann Kessler, citing "The Bacon Family Website." [S132] Robert Peacock Brooks, Timothy Brooks, 46. [S1076] Judy Brooks Truchon, source unreported. [S213] H. Stanley Craig, Cumberland County New Jersey Wills, 24, Henry Brooks of Deerfield. Findagrave.com, memorial #8626290. Photo by Mary Gilmore. [S575] James N. Arnold, Rehoboth VR, 675, Pelletiah Mason b. [S192] Costello, Fiske and Rounds, Vital Records of Swansea, Massachusetts, to 1850, 24, Pellatiah Mason/Mahipsabath Brooks m.
[S1081] Alverdo Hayward Mason, ed., Swansea Records, 115-4, Pellatiah Mason/Mahipsabath Brooks m.
[S692] Rounds, Abstracts of Bristol County, 3:214-215, John Brooks inventory. [S106] NEHGS Register, 18:250 (Jul 1864), "Sampson Mason the Baptist." [S106] NEHGS Register, 18:248 (Jul 1864), "Sampson Mason the Baptist." [S148] FindAGrave.com, memorials #8626290, #8626303. [S1081] Mason, Swansea Records, 27-1, Job Mason b. [S1081] Mason, Swansea Records, 7-26, Elihu Mason b. [S1081] Mason, Swansea Records, 8-8, Elisha Mason b. [S106] NEHGS Register, 18:251 (Jul 1864), "Sampson Mason the Baptist." [S192] Costello, Fiske and Rounds, Vital Records of Swansea, Massachusetts, to 1850, 25, Thomas Lewis/Elizabeth Brooks m.
[S1081] Alverdo Hayward Mason, ed., Swansea Records, 125-13, Thomas Lewis/Elizabeth Brooks m.
[S692] H.L. Peter Rounds, Abstracts of Bristol County, 3:214-215, John Brooks inventory. [S1081] Mason, Swansea Records, 37-24, Nathanell Lewis b. [S692] Rounds, Abstracts of Bristol County, 3:212-213, John Brooks. [S1081] Mason, Swansea Records, 35-27, Mary Lewis b. [S692] Rounds, Abstracts of Bristol County, 3:212-213, John Brooks will. [S1081] Mason, Swansea Records, 27-18, James Lewis b. [S1081] Mason, Swansea Records, 63-24, Timothy Lewis b. [S1081] Mason, Swansea Records, 2-8, Deborah Lewis b. [S1081] Mason, Swansea Records, 62-19, Samuell Lewis b. [S1081] Mason, Swansea Records, 10-1, Experienc Lewis b. • Roger Mowry's Providence house. [S222] Lucius R. Paige, "Massachusetts Freemen," 11, Roger Mawry.